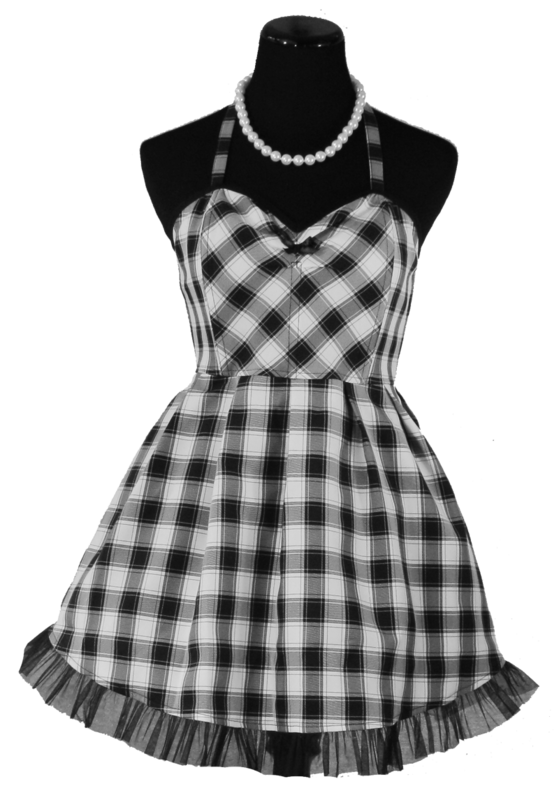 Our new strapless apron line "I Love the 80's" features a bodice supported apron top with full skirt. 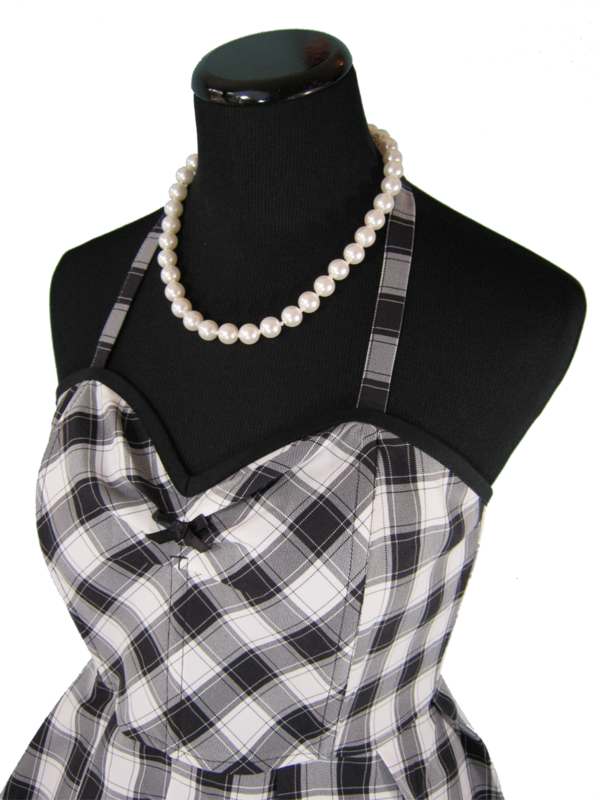 The Girls Just Wanna Have Fun Apron is a black and white plaid that will go perfectly with any ensemble, and has just enough of that 80's sass to make it retro and chic. 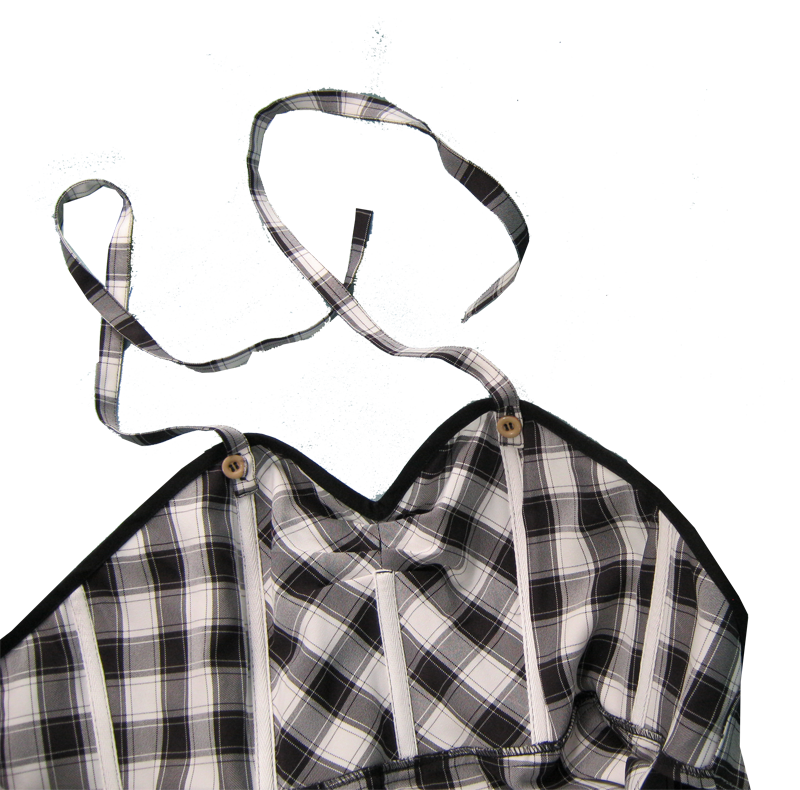 Convert our strapless apron to a typical apron with button on straps included.